Indeed, Google Maps lie. There is a real bridge connecting Puget Island to Cathlamet WA. 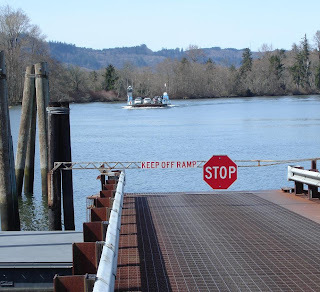 This is a view of the Wahkiakum car ferry, which runs across the Columbia, from Oregon to Puget Island. The modest toll of $3 was well spent!